Even if you have been arrested and charged with a DUI, you are presumed innocent. The government must prove each and every element of a DUI beyond a reasonable doubt. Santa Rosa DUI Attorney Steven Taxman understands and has years of experience reviewing and analyzing the elements of a DUI charge. drug, or a combined influence, of any alcoholic beverage and drug. The police arrest many people even though the evidence shows that one of the elements have not been met. Santa Rosa DUI Attorney Steven Taxman will explore all of your potential defenses with you at the initial consultation. The first issue that he explores is whether or not, you were even driving at the time of the alleged offense. Sometimes, a person is arrested for DUI, even though the person was not driving. For example, the person might have been found sleeping in the car with the ignition running. Although under certain circumstances, that person may be found to be in physical control of the vehicle, California requires more than physical control. In California, driving requires the volitional movement of a vehicle. Sometimes, a person is charged with DUI, even though the person was the passenger. 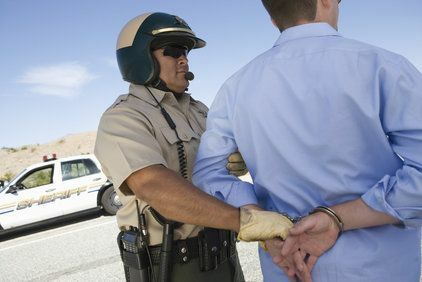 If you have been arrested and charged with DUI, but you weren’t driving, call Santa Rosa DUI Attorney Steven Taxman to protect your legal rights. Sometimes a person is charged with a DUI, even though the person was not under the influence of alcohol. In order to obtain a conviction, the prosecutor must prove, beyond a reasonable doubt, that as a result of drinking alcohol, the person’s physical or mental abilities were so impaired, that he or she can no longer drive a vehicle, with the same caution of a sober person under the same or similar circumstances. If you have been arrested and charged with DUI, but you weren’t impaired, call Santa Rosa DUI attorney Steven Taxman to protect your legal rights. When a person is charged with DUI, and also takes a breath or blood test, and the results are at least a .08% blood alcohol level, the government will add a second charge because it is illegal, to drive in California, with a blood alcohol level of .08% or more. In other words, .07% is the legal limit in California, not .08%. while having the illegal blood alcohol concentration of .08% or greater. Santa Rosa DUI attorney Steven Taxman can help, if you have been arrested and charged with driving with a blood alcohol level of .08% or more. Many times, we can show that at the time of driving, our client’s blood alcohol level was rising. Although it is unlawful to have an excessive blood-alcohol concentration at the time of driving – it is not unlawful to have an elevated blood alcohol level at the time of being tested. Since it takes between 45 minutes and 3 hours for alcohol to be absorbed into the system, an individual's blood alcohol concentration may continue to rise for some time after that person is stopped and arrested. Generally, it is an hour or more after the stop, when the blood or breath test is given to the alleged drunk driver. Assume that the result is .12%. If the person is continuing to absorb alcohol since he or she was stopped, the person’s BAC at the time of driving may have been only .07%. In other words, the test result shows a blood-alcohol concentration above the legal limit -- but the person’s actual blood alcohol level at the time of driving was below. The rising blood alcohol defense, is one of the reasons, that Santa Rosa DUI Attorney Steven Taxman works closely with forensic toxicology experts to prove our clients’ blood alcohol level at the time of driving.